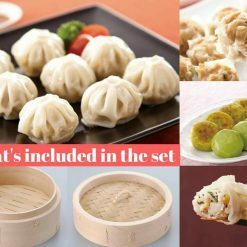 The Dim Sum Fun Dumpling Set contains everything you need to have authentic Dim Sum at home! Best of all, it’s healthy and additive-free! 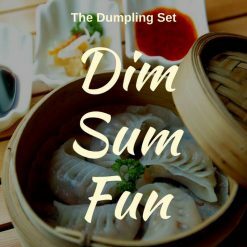 The Dim Sum Fun Dumpling Set lets you make restaurant quality Dim Sum at home! Eat authentic dim sum as you would get it in the heart of Hong Kong! What’s different about the food and bamboo steamer in the dim sum fun dumpling set? It’s all additive-free! All the food and products in the Dim Sum Fun Dumpling Set come to you courtesy of Sugarlady, the pioneer in additive-free food in Japan since 1970. Everything produced by Sugarlady is free from 449 additives that have been approved for food in Japan.